Home automation is simply the very latest way to control the heating and lighting in your home, helping to reduce your energy bills and increase security. Many home automation systems require costly rewiring and renovation work but here at Firsteye Installations, we’re proud to be able to offer our customers a cost-effective system which is easy to install with the minimum of fuss and disruption. Installing a home automation system offers a huge range of possibilities and will enable you to take control of the power you use by allowing you to remotely control the lighting and heating in your home. The Firsteye home automation system can be controlled from your smartphone, a tablet or a laptop, offering complete control wherever and whenever you need it. In addition you’ll be able to see how much energy you’re using; making savings by adjusting the heating room-by-room, helping you reduce your energy bills. 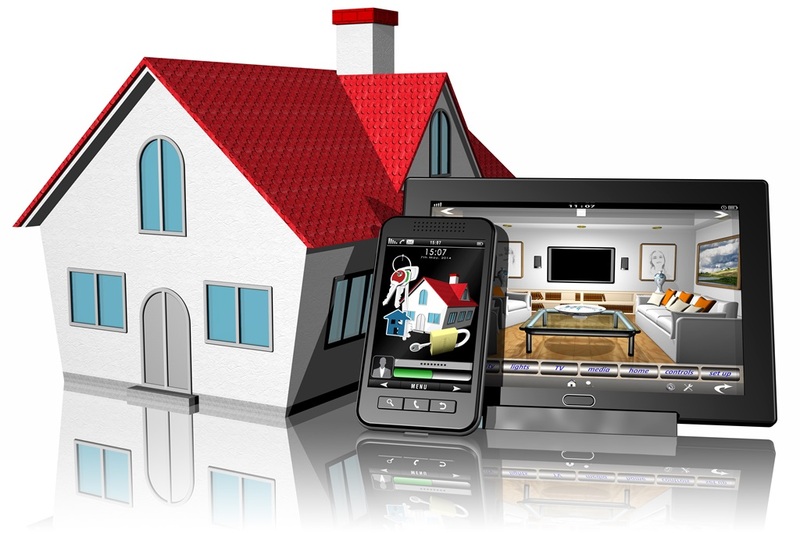 Home automation also brings benefits in terms of home security as you’ll be able to receive security alerts and live video direct to your smartphone or tablet. Lights and can be switched on and off whilst you’re away and you can even set the heating to come on in time for when you get home! The Firsteye home automation system is different and unlike many systems which can cost thousands of pounds to install, we use retrofit technology to simply replace your old plug sockets, light switches and radiator valves. The Firsteye system is quick to install and because there’s no noisy drilling or mess, you’ll hardly know we’re there! In addition, because we make the most of retrofit technology, it’s possible to start by changing just one socket, one room or the entire house, making the Firsteye system an affordable solution, within the reach of most households. We believe in offering our customers tailor made solutions, designed to meet their personal requirements. Professionalism, care and attention to detail are at the heart of all our services and we promise to treat your home with respect at all times. Whether you want to try home automation by starting with just one room in the house, or are interested in a complete system, we’ll spend time talking through your requirements with you to find the perfect solution. Firsteye Installations Ltd was established over 17 years ago and we plan, design and install security and home automation systems in Leeds and throughout the North of England. Thanks to our central location in West Yorkshire, we are able to offer our services across a wide area and our team of experienced, qualified installers work with both residential and business customers. If you would like to find out more about how a Firsteye home automation system could help you take control of the way you power your home, why not get in touch with us for further information? We happy to provide a free, no-obligation quote at a time to suit you – please call us on 0113 228 8599 to find out more. Secure your business and premises today with a free security survey and quote, just get in touch using the quote request form on the Contact Us page, or by phone or email. We’ll come and see you at your business premises in order to tailor a quote to your needs using one or a combination of our security installation services.